How are your Thanksgiving preparations going on? This year I am not hosting Thanksgiving but making a couple of things to take it to my sis in laws house. 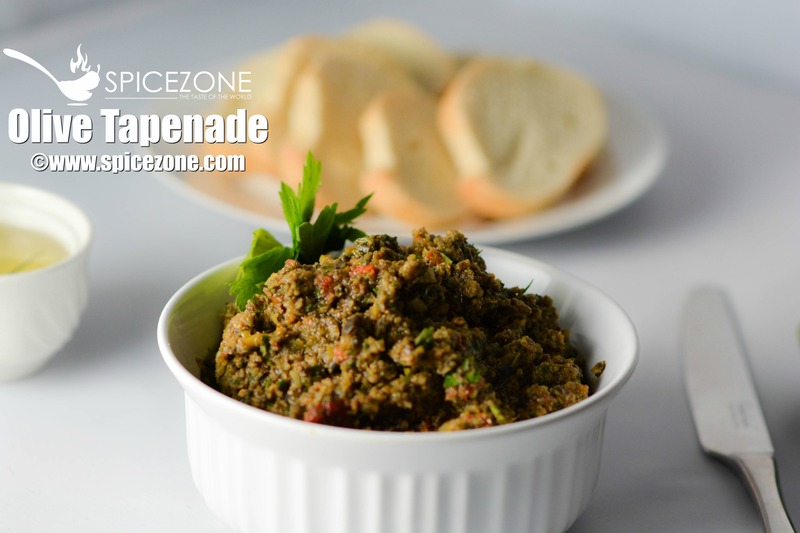 If you are looking for an easy add on to your appetizer table then Olive Tapenade is an awesome choice. 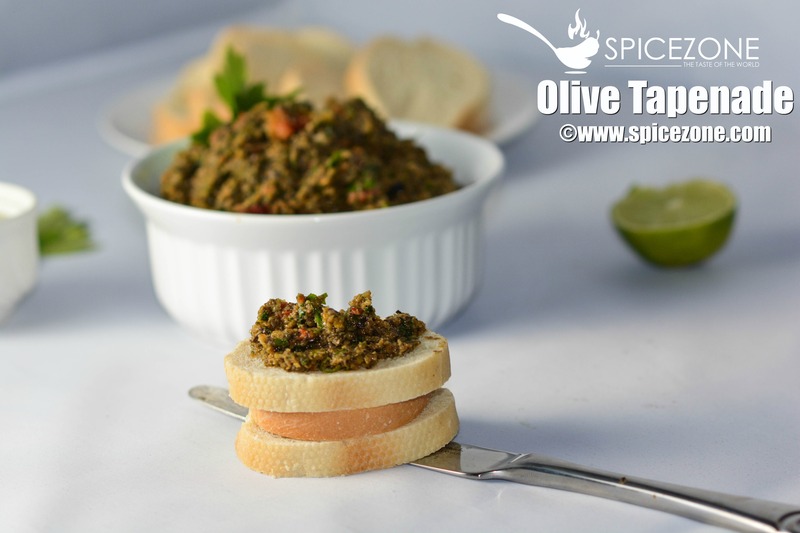 I have made this a couple of times and has been a hit specially my husband who just loves olives. Olives is one of the core ingredients in Mediterranean cuisine and is rich in vitamin E. They are green and purple to black in color. 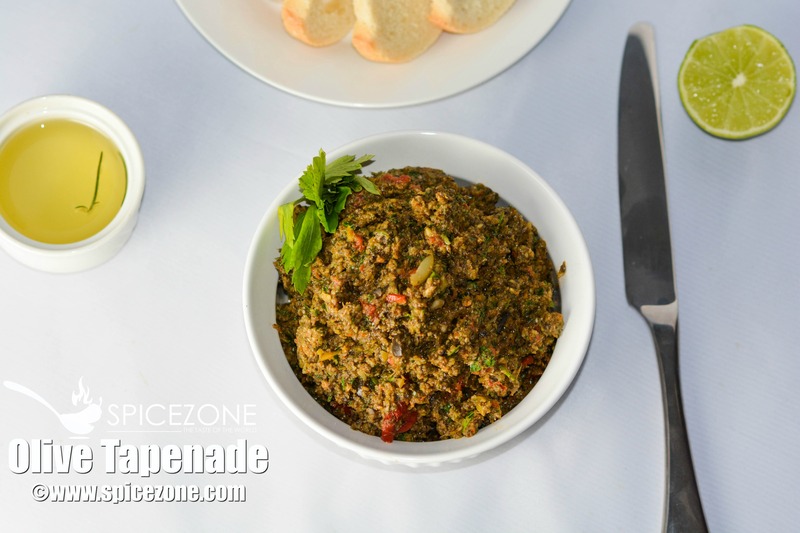 Tapenade is a Provencal] dish consisting of puréed or finely chopped olives, capers, and olive oil. It comes from south of France and is eaten as hors d'œuvre spread which can used on crackers, sliced french bread. This spread can be prepared day or two ahead and can be ready in 15 mins. Trust me when I say 15 mins it is…I love quick and easy fixes specially when you like to entertain all the time. If you don't believe me, try it for yourself and let me know what you think. I am sure you will love it as long as you are an olive lover. I am not but I loved it…. In a food processor add all the ingredients except olive oil. Pulse it a few times or until it coarsely chopped. If you like it to more of a paste consistency then pulse it a few times until you get the desired consistency. Add olive oil to the mixture and refrigerate it. Served it with toasted french bread slices or crackers. This spread can be used for a week if left in the fridge. Do try this Cranberry Pineapple Relish from my friend's Sonal's blog. If you enjoyed this recipe, drop me a comment below and share with your friends and family. 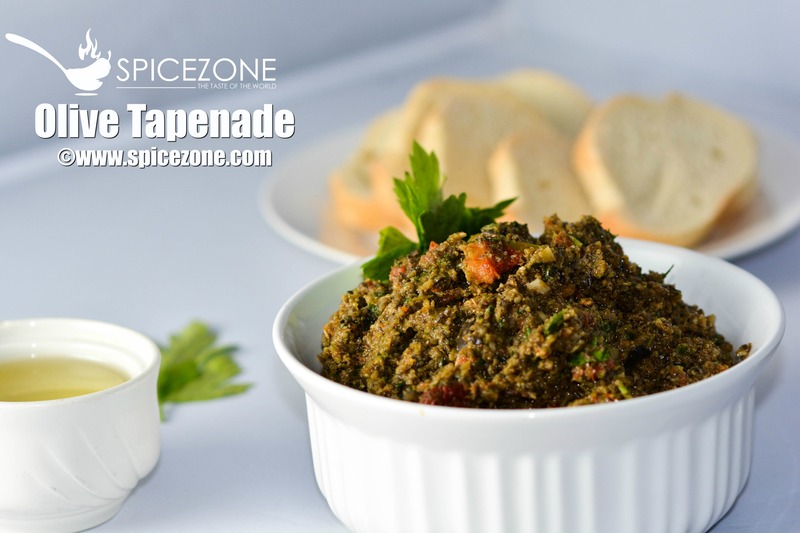 One Response to "Olive Tapenade"
Follow Sarika's board The Taste of the World on Pinterest.